Knowing how long will it take for the next bus, subway or tram to come? Calculating routes, including a combination of different modes of public transport? Locating the nearest stops to the user? Checking the credit of your travel pass? In short, the easiest way to know how to move around your city in a quick and clean way. 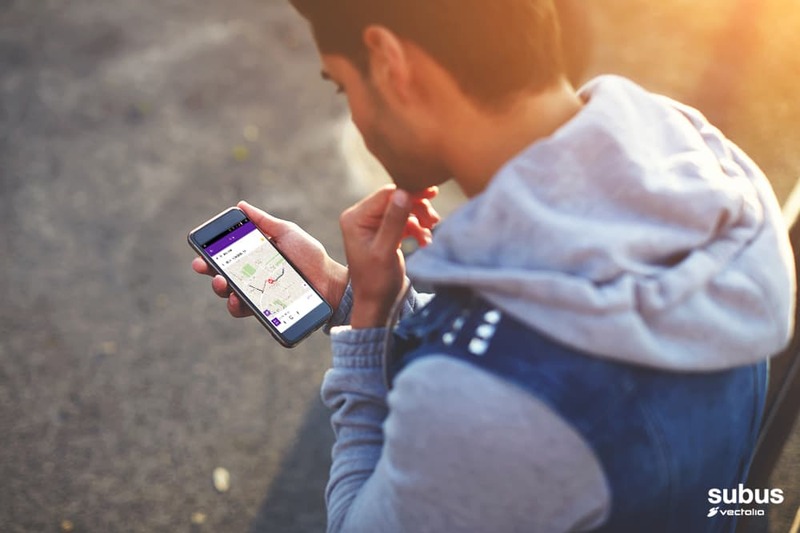 Urban mobility apps developed by Cuatroochenta in the last four years have become a daily habit to make life easier for about 500 000 citizens in six Spanish cities: Valencia, Alicante, Albacete, Cáceres, Mérida, and Alcoi. Good scores on Google Play and App Store plus the hundreds of comments praising its functionality and usefulness have confirmed that, from the most downloaded and veteran app, EMT Valencia with 320 000 users, to the last apps put into use in smaller cities like Mérida and Alcoi, the apps have been consolidated among their users. The fact that each session had an average of 14 screens in all of them, according to statistics from Google Analytics, also confirms the intensive use of this free tool. The app of the Municipal Transport Company of Valencia (EMT) was the first one developed by Cuatroochenta for this sector in 2012 and it soon became successful, remaining today rooted among the users of the subway, the bus, the tram, or bike hiring service Valenbici. In fact, the municipal company itself highlights “the great reception and quick acceptance that the app had, because it is a very handy tool to know how to get around Valencia. The apps for Albacete, Alicante – with a different design -, Cáceres, Mérida, and Alcoi began to develop in 2014 and until now for the same licensed company of public bus service in those five cities: Vectalia. Under the name App Subús, these apps allow, among other things, the estimation of arriving time through reading the QR code in each top. In fact and according to Google Analytics, the most seen screens by the users of these five apps are the waiting time estimation for the next bus, which lines pass by the bus stop, and the plan with all the routes on Google Maps.